Unibail-Rodamco purchased much of Shopping City Süd, Austria's largest retail complex, in May 2008. 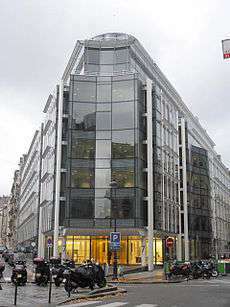 Unibail-Rodamco SE is a European company, headquartered in Paris, that specializes in commercial property investments. 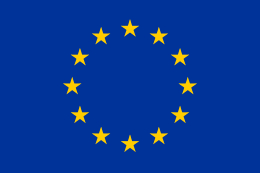 It is the largest commercial real estate company in Europe. Unibail-Rodamco was created in June 2007 through the merger of Unibail (created in France in 1968) and Rodamco Europe. Unibail-Rodamco manages three types of assets: shopping centers, convention centers and office properties. The company counts 1500 employees on its payroll. The company is a component of the Euro Stoxx 50 stock market index. Unibail was founded as a finance leasing unit in 1968 by the company then known as Worms & Cie. In 1991, the company started to focus on the property investment sector, and to phase out involvement in lease financing. Unibail built up a portfolio of property with close to 30 shopping centres across France - including the Forum des Halles and the arcade within CNIT - and substantial office properties in Paris and La Défense - including the Tour Ariane, and the Paris Expo group of convention centres. Rodamco Europe was formed in 1999 when Rodamco, a property investment fund set up by the Dutch asset management group Robeco in 1979, was broken up into various independent listed companies covering different parts of the world. Rodamco Europe subsequently collected a portfolio primarily consisting of shopping centres and other retail spaces across 14 European countries, along with some office property in France and the Netherlands, acquiring smaller European rivals in the process. On April 10, 2007, Rodamco Europe announced an agreement to conduct a merger of equals with Unibail to create the largest publicly traded property company in Europe. The merger was confirmed on June 21, 2007, after Unibail announced the acquisition of 80% of Rodamco's shares, making its offer for the remainder unconditional. The merged entity took effect as a société anonyme under the new name Unibail-Rodamco on June 25, 2007. On June 1, 2011, Unibail-Rodamco hired former FNAC CEO Christophe Cuvillier as the new COO. In collaboration with CEO and Chairman of the Board Guillaume Poitrinal, he has led the company to 5 years of growth in spite of the tough economic conditions. In May 2015, Unibail revealed it had signed an agreement with the Canada Pension Plan Investment Board to sell its 46.1 percent stake in German shopping mall operator MFI AG for €394 million. Unibail-Rodamco owns 89 shopping centers in 12 European countries. 51 of those get more than 6 million visits per year. In March 2012, Unibail-Rodamco introduced the 4-star rating for its shopping centers. This ranking sets quality standards at all stages of the client's visit in a shopping center. SGS is responsible for auditing and validating the label in each case. 571 requirements are necessary to obtain the 4-star rating. The staff has to be trained for outstanding customer service and retailers have to commit to a strict quality code. Unibail-Rodamco owns at parity with the Chamber of Commerce and Industry of Paris (CCIP) the companies Viparis and Comexposium. Viparis manages convention centers for conferences, exhibitions and corporate events in and around Paris. Comexposium is specialized in organizing events. Unibail-Rodamco owns many congress centers in France. Through Viparis, Unibail-Rodamco owns a total of 300,000 m2 wide, spread over 10 sites in Paris. Unibail-Rodamco invests and develops modern and efficient buildings of over 10,000 m² of GLA in Paris, the central business district of Paris (Capital 8) and in La Défense (Tour Ariane). Unibail-Rodamco is rated A by Standard & Poor’s and Fitch Ratings. In 2015, Standard Ethics Aei has given a rating to Unibail-Rodamco in order to include it in its Standard Ethics French Index. ↑ Kemble-Diaz, William (May 22, 2008). "Unibail-Rodamco in near-$1 bln Austrian mall buy". Reuters. Retrieved 2008-08-19. ↑ Unibail-Rodamco. "Portfolio". Retrieved 10 February 2011. ↑ Unibail-Rodamco. "Unibail Historical Data". Retrieved 2007-06-26. ↑ Unibail-Rodamco. "List of properties". Retrieved 2007-06-26. ↑ Rodamco Europe. "History". Archived from the original on 2007-05-13. Retrieved 2007-06-26. ↑ Rodamco Europe. "Rodamco and Unibail merger". Archived from the original on 2007-09-27. Retrieved 2007-06-23. ↑ "Unibail, Rodamco to create European property leader". Reuters. April 10, 2007. Retrieved 2007-06-23. ↑ "Unibail secures merger with Rodamco Europe". Reuters. June 21, 2007. Retrieved 2007-06-23. ↑ "Amsterdam shares close slightly lower; Hagemeyer carries the day". AFX News. June 25, 2007. Retrieved 2007-06-26. ↑ "Unibail-Rodamco SE". Bloomberg. March 15, 2013. Retrieved 2013-03-15. ↑ James Regan (15 May 2015). "Unibail sells German mall operator stake to Canada's CPPIB". Reuters. Retrieved 18 May 2015.